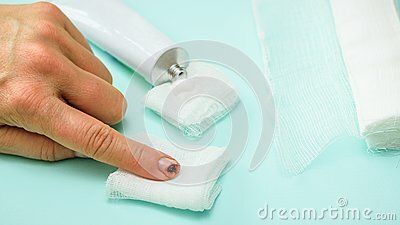 A knife-cut index finger of the left female hand, a tube of ointment and a bandage on a blue table. A knife-cut index finger of the left female hand, a tube of ointment and a bandage on a blue table. Damage to the hand in a domestic situation.